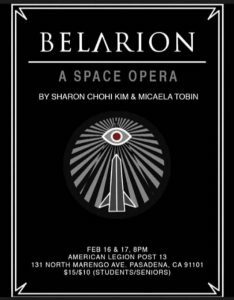 Belarion, an Immersive Space Opera Inspired by Jack Parsons Being Staged February 16 and 17 in Pasadena – Zero Equals Two! 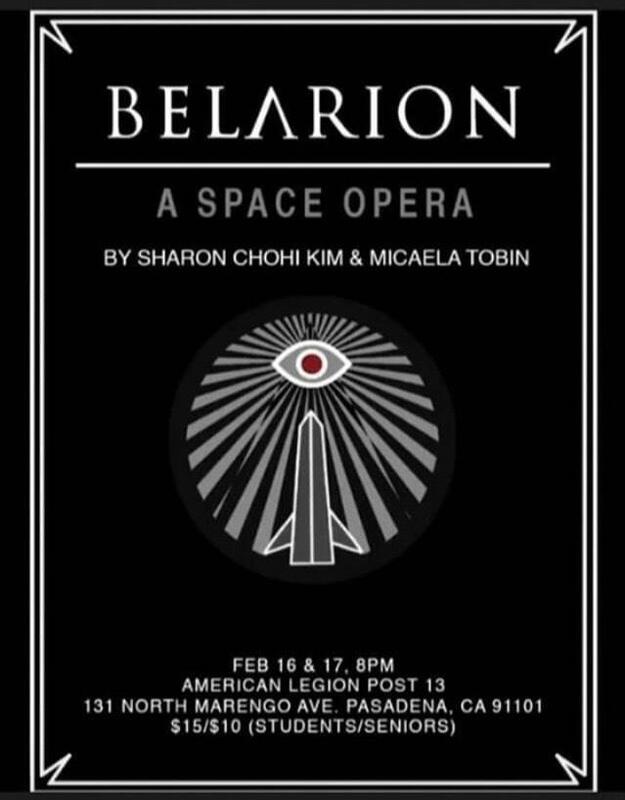 BELARION: A SPACE OPERA, an immersive opera inspired by the science and magical practices of Jack Parsons is being staged in Parsons hometown of Pasadena, CA February 16 at 8 PM – February 17 at 11 PM at the Pasadena American Legion Post 13 131 North Marengo Avenue. The opera was composed and created by Sharon Chohi Kim & Micaela Tobin with Lighting Design and Projections by Erin Bates and Set Design by Myra Dingley. This production is being presented with support from Open Gate Theatre and The City of Pasadena Arts & Cultural Affairs Department. The second half of the evening will include the premiere of another experimental one-act opera, “Bowshock’s Wild Ride”, written by Ted Lamoureux. Thanks to Hymenaeaus Beta for the tip!